If there are any good guys in the middle East, the Kurds are in that group. 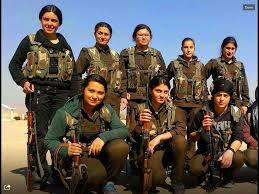 They have proven to be brave and effective fighters against ISIS. Obama doesn't want them to have heavy weapons. It's almost like he is secretly rooting for ISIS. He's not secretly rooting for ISIS. His limp wristed approach to them shows he's openly trying to help them achieve their goals.